Richard Hoover – Design for Story from ADA on Vimeo. Sam and Nils curated an Imagination Lab about the future of education and a bunch of guests also stopped by during the evening, like Ola who brought 2 of his method kits, thanks for a great evening! 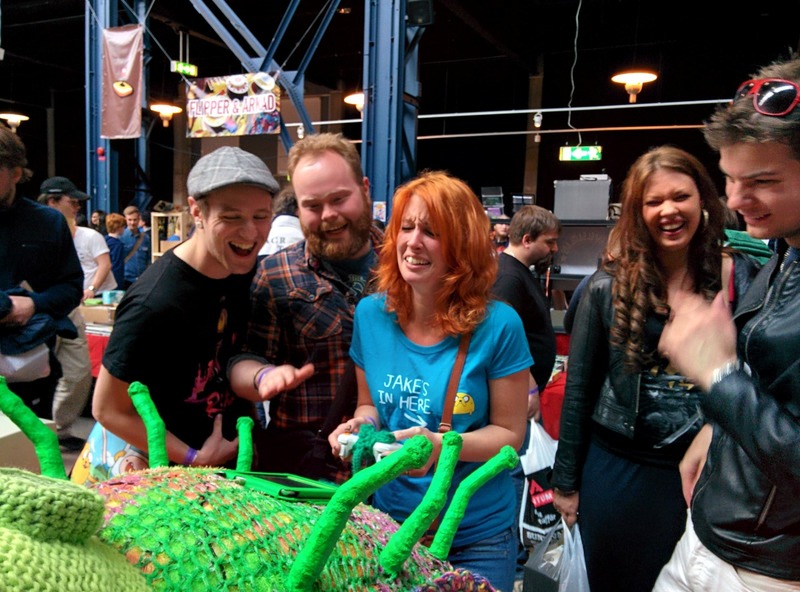 Dear makers and collaborators! We are pleased to report that the Idea Factory and Mingle was a resounding success and will be returning on a regular basis. The idea behind this event is to give Collaboratory members the opportunity to get together, pitch their ideas and receive feedback from fellow makers as well as presenting their individual skills with the view to create new project collaborations. At the première, the organisers Ariana, Gunnar and Samantha were joined by Lars, Mustafa, Jakki, Alberto, Ulrica, Fredrik and Jasmine. Several of the participants took this opportunity to present their ideas and work in progress and were rewarded with much appreciated feedback and helpful suggestions on how to develop their ideas further. From the development of a new grow light system via multimedia experiences for the entire family to time-travelling selfies, the creative spirits were running high. Add to that plenty of good food and wine and you have the recipe for an evening well-spent! 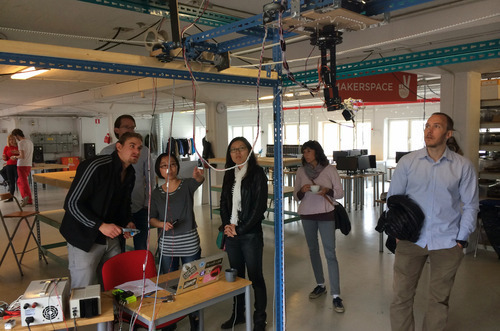 Today Dr. Sergej Stoetzer visited Collaboratory as part of his research about hacker- and makerspaces and STEM education. 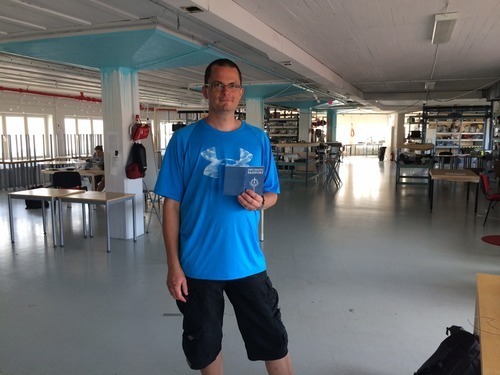 He visited and collected passport stamps at Collaboratory and Gothenburg hackerspace. We are looking forward to follow your work and thank you for very interesting discussions! 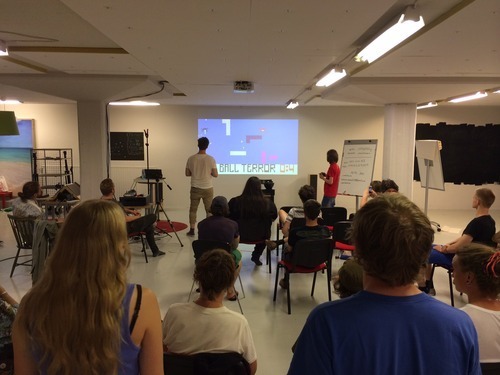 The NMS game jam was awesome, indie devs from different countries gathered in Collaboratory to make games and hang out for 3 days. 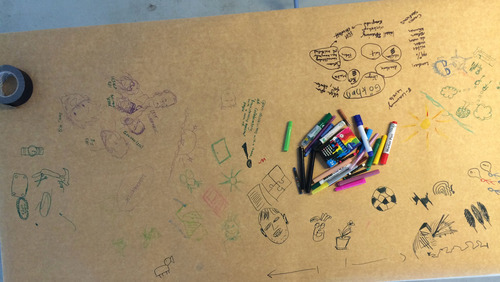 Students from the master program Business & Design at HDK -School of Design and Crafts in Gothenburg studied the model of Collaboratory this term and they made this nice video. Big thanks to Kristina, Michèle, Joseph and Ahra for your awesome work! Joseph has a BsC in Marketing – Communications from Greece and working experience in sales and Personal Training. His hobbies are playing/listening to music, fashion, reading, arts in general and he also love movies and video games. Ahra is an exchange student from South Korea. Her background is within furniture design and is now studying Business & Design for one semester at HDK. Her passion is food, chocolate, meditation and design and she enjoys the rain, especially here in Gothenburg. 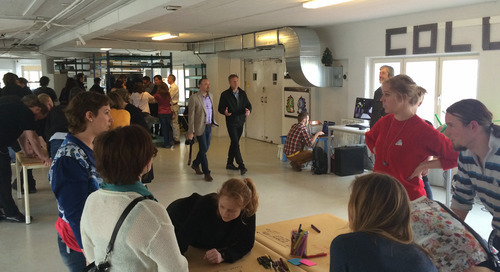 With the increased interest in Collaboratory and processes of open innovation, Jasmine and members of Collaboratory, together with David and Fernando from Semcon, decided to invite businesses and curious people from around Lindholmen mainly, to an open day at Collaboratory. The goal is to effectiwise (made up word:) collaboration and communication in the area, as well as increase the innovation pace in Gothenburg. The day started with a description of how Collaboratory came to life. Jasminetalked about how her transdisciplinary background and methods of open and playcentric designs made it impossible to operate and survive economically within the traditional systems in Sweden and how this led to the creation of Story architects think and do collaboratory in 2011. 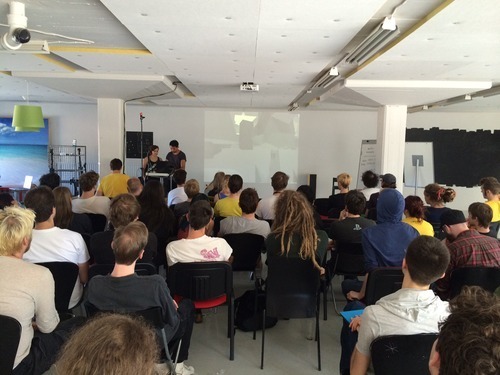 Examples of her co-creative projects that were mentioned are Axion and Learn Do Share. 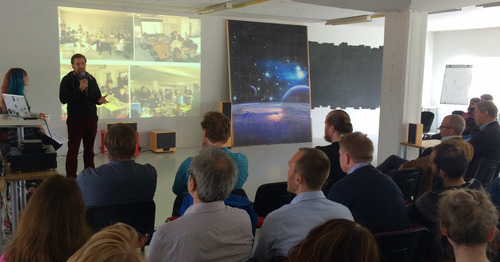 To create a cross-generational and transdisciplinary platform for innovation, a next generation maker space, the process of making Collaboratory was opened up to the users in 2013 when Gothenburg Film Studios generously invited the growing community to move into the current space in the Gothenburg film and games village at Lindholmen. After scanning the city of Gothenburg for an office in 2011 and also working on film projects here from 2008, Jasmine found this area to be the most interesting spot for her company to set roots. The development of Lindholmen has been very interesting to follow and there can be a very bright future here if the residents learn how to communicate and collaborate in more effective ways. Collaboratory resides at the intersection of the ruff industrial and the clean corporate, of industry and academia, of science and storytelling. Then partners and members of Collaboratory continued the introduction. Early in the process Story architect and Gothenburg Film Studios partnered with Interactive Institute Swedish ICT who moved parts of their activities and tools to Collaboratory, and together with Jasmine and the current members are responsible for most activities in the space, and generously shares their equipment. 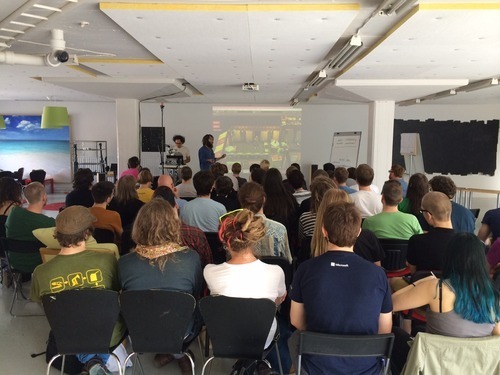 An awesome initiative by Interactive Institute that was presented is Hackerklubben where kids learn coding by making games and other creative works. The member Erik also talked about the game jams we host, Henrik talked about his motivation for helping with renovating the space, Robert showed the Human and Machine project, Samantha talked about the importance of finding a community when you move to a new country, HDK students presented their study of the Collaboratory model, Olof from Chalmers talked about why academia values partnership with Collaboratory and board members Allen and Mats talked about their motivation for supporting the initiative. Then David and Fernando presented Semcons work and talked about open innovation and how Collaboratory is a good free zone and space for prototyping ideas and collaborating outside of a big company’s constraints. Ericsson who also had an open day right before Collaboratory was present and Ulrica presented a discussion on communication strategies that was initiated during their open day. This discussion was continued during the following workshop, right after a break where all participants walked around and got to know the space and some of the projects currently being built there. 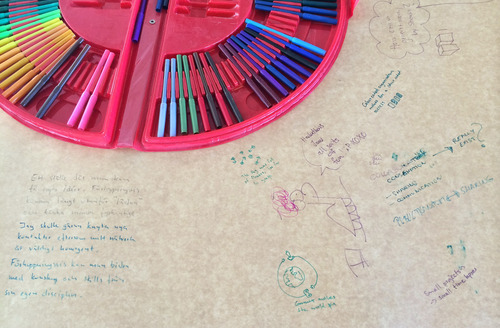 We ran a workshop where people were divided into groups, forming a couple of themes to talk about. Below are notes and sketches that came out of the discussions. Carl Heath wrapped up the day and invited people to become members and partners of Collaboratory. We are inviting everyone to take our discussions to the next step and start doing and prototyping projects. 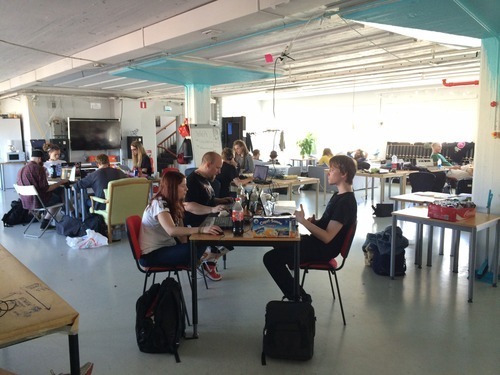 At the end of August or beginning of September we aim to have a couple of workshops/hackathons kicking of things. We will co-create the themes and designs, so what are your wishes? Everyone who attended or/and expressed an interest is included in the email thread with the follow up letter. We have a Google folder for notes and discussions, let us know if you want to be active there, or if you have any other thoughts, questions, suggestions etc. Thanks Carl Heath for taking photos! Have an awesome summer everyone and see you soon! 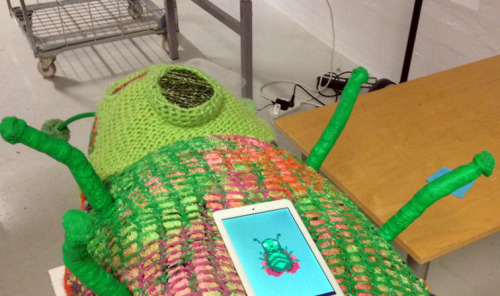 May 6th we had a visit by Lena Ylipää and Pia Jägstrand working on the project Sloydify society (Craftify society). They researched the connections between maker spaces and traditional art and crafts. Very nice to have visitors coming from far up north of Sweden! Under perioden 2014-2015 pågår ett samarbetsprojekt mellan länshemslöjdskonsulenterna i de fyra nordligaste länen. Det heter Sloydify society och är ett projekt som undersöker hur Hemslöjden kan arbeta med “samhälls-slöjd”, eller ett hantverksbaserat socialt entreprenörskap. I samband med en stor utställning, Next Level Craft, under kulturhuvudstadsåret i Umeå 2014, kommer projektet att utveckla nya sätt där hemslöjdare, organiserade genom länens hemslöjdkonsulenter, kan engagera samhällsaktörer i civilsamhället samt en bredare publik. Projektets aktiviteter avser att undersöka hur slöjden som näringsverksamhet kan vara en aktiv del av, eller till och med tjäna, samhället. Inom ramen för projektet utvecklar länshemslöjdskonsulenterna i vart och ett av de fyra länen ett eget case/en egen metod. I Norrbotten är även länets konstkonsulent med i arbetet och genom det har det hela breddats till att omfatta både slöjd och konst. För oss handlar det att själva görandet som finns i både slöjden och konsten är ett verktyg. 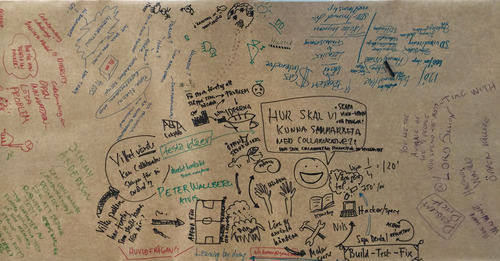 We are four students from the master program Business & Design at HDK-School of Design and Crafts in Gothenburg. Right now we are in the start-up of a new project. This is an integrated project where we are asked to practically implement and integrate the knowledge that we have previously acquired in the programme in an actual project. So why are we working with Collaboratory? We want to gain a greater understanding for, and knowledge of, an organisation’s reality in a development process. The theme of the course is Innovation, Aesthetic experience, Design thinking and design methods. This will be our guidelines and our starting point for the project, which extends over two months. We are looking forward to work with Collaboratory and are happy to answer any questions that you might have.